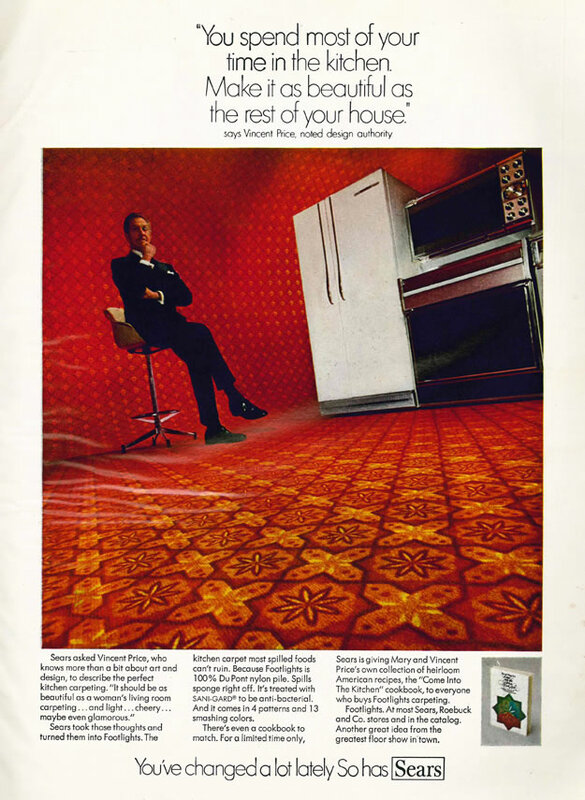 The new definition of horror: Vincent Price selling kitchen carpeting for Sears. Sears took those thoughts and turned them into Footlights. The kitchen carpet most spilled foods can’t ruin. Because Footlights is 100% DuPont nylon pile. Spills sponge right off. It’s treated with SANI-GARD® to be anti-bacterial. And it comes in 4 patterns and 13 smashing colors. There’s even a cookbook to match. For a limited time only, Sears is giving Mary and Vincent Price’s own collection of heirloom American recipes, the “Come Into The Kitchen” cookbook, to everyone who buys Footlights carpeting. Footlights. At most Sears, Roebuck and Co. stores and in the catalog. Another great idea from the greatest floor show in town. You’ve changed a lot lately. So has Sears. 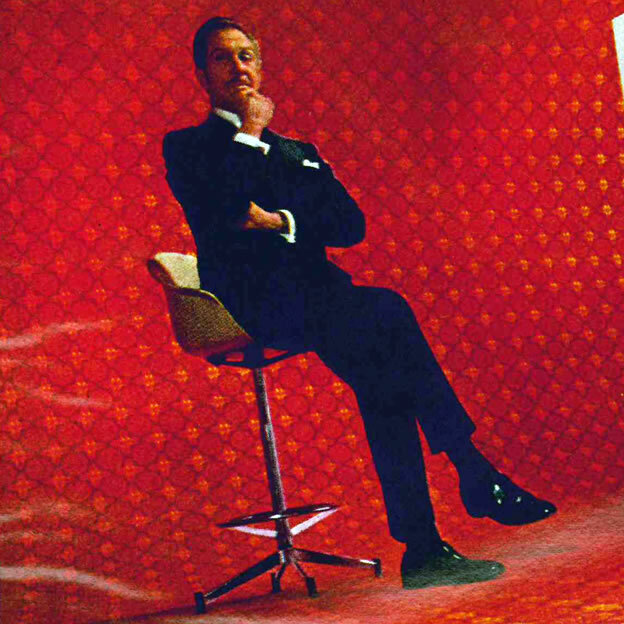 This entry was posted in ads of yore and tagged ads, advertisements, carpeting, dupont, kitchen, magazine ads, print ads, sears, vincent price, vintage, vintage ads on January 4, 2017 by Clayton Hove.